The Military Officers Association of America (MOAA) will present its top awards for 2012 to the Chairman, House Armed Services Committee, two organizations and a congressional staff member, for their support of the military community at a Capitol Hill ceremony on Tuesday, April 17, in Washington, D.C.
We are privileged to recognize great Americans who support a strong national defense and can always be counted as friends of those in uniform. Rep. Howard P. “Buck” McKeon (R-Calif.), Chairman, House Armed Services Committee (HASC), will receive the Col. Arthur T. Marix Congressional Leadership Award. The MOAA Distinguished Service Award will go to CSX Corporation, and Honor Flight Network. Professional Congressional staff member, Mr. Robert L. Simmons II, will receive the Col. Paul W. Arcari Meritorious Service Award. MOAA is the nation’s largest and most influential association of active duty, National Guard, Reserve, retired, and former military officers and their families and survivors. The association annually recognizes individuals or organizations that strongly support military men, women and their families. Chairman McKeon will receive the Col. Arthur T. Marix Congressional Leadership Award for his leadership on a range of military personnel and family support initiatives, including military pay and health care protections. Marix founded MOAA in 1929 and served as MOAA’s first President until 1944. CSX Corporation and Honor Flight Network will each receive MOAA’s Distinguished Service Award that honors individuals or organizations that are not members of Congress, but have been consistently strong supporters of national defense and the uniformed services community. Congressional staff member, Robert L. Simmons II, HASC Staff Director, will be recognized with MOAA’s Col. Paul W. Arcari Meritorious Service Award for his efforts in support of a variety of legislation to help military service members, spouses, and survivors. Col. Arcari was MOAA’s Director of Government Relations for 14 years, retiring in 2002. “We are privileged to recognize great Americans who support a strong national defense and can always be counted as friends of those in uniform.” Vice Adm. Norb Ryan, Jr., President of MOAA said. 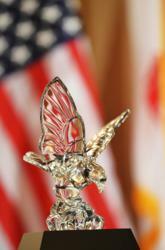 MOAA has awarded the Marix and Distinguished Service Awards since 1997. The congressional staff member award began in 2000. For more information about MOAA, please visit http://www.moaa.org. MOAA Year In Review 2011– MOAA wraps up a year of challenges and achievements.